Hyundai Sonata Vinyl Graphics, Hood Decals, and Body Striping Kits. 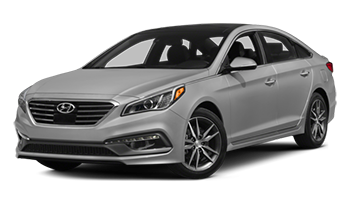 The Hyundai Sonata midsize sedan is redesigned and ready for the road. It's offered in four trim levels: SE, Sport, Eco and Limited. Below you'll find a wide variety of Hyundai Sonata vinyl graphics for the model years indicated. Featured here you will find the Hyundai Sonata : Crossover Combo Rocker Vinyl Stripe Kit Vinyl Graphics, Striping, and Decals by Custom Auto Designs, the Hyundai Sonata : Crossover Hood Vinyl Stripe Kit Vinyl Graphics, Striping, and Decals by Custom Auto Designs, the Hyundai Sonata : Crossover One Rocker Vinyl Stripe Kit Vinyl Graphics, Striping, and Decals by Custom Auto Designs, the Hyundai Sonata : Off Center Rally Vinyl Stripe Kit Vinyl Graphics, Striping, and Decals by Custom Auto Designs, and so much more! Choose one of these popular vinyl decal styles today!